Lucio Ranucci was born in 1925 in Italy. He began painting as a young man while at boarding school and at the age of 22, not long after his father passed away, Ranucci set out for Latin America seeking personal exploration and adventure. What was to be a brief excursion turned into a 16-year stay that involved immersing himself in the cultures of Argentina, Peru, Ecuador, Columbia, and Costa Rica. There he worked as a sailor, photographer, and hearse driver. This rich life experience illuminate his paintings. In 1959 during his days as a journalist, Ranucci interviewed key political figures such as Fidel Castro and Che Guevara. He was imprisoned in Nicaragua for his political beliefs, which involved fighting against Simoza's dictatorship. In 1963, Ranucci came home to Italy to undergo the trial of European art critics. His return entailed a series of successful exhibitions throughout Italy, Germany, France, and England. Filled with a passion for life, Ranucci's paintings show an understanding and compassion for people. His work is a testament to human kind's unchanging rituals What makes Ranucci's work particularly striking is his combination of rich, vibrant colors with cylindrical forms set against soft curves. 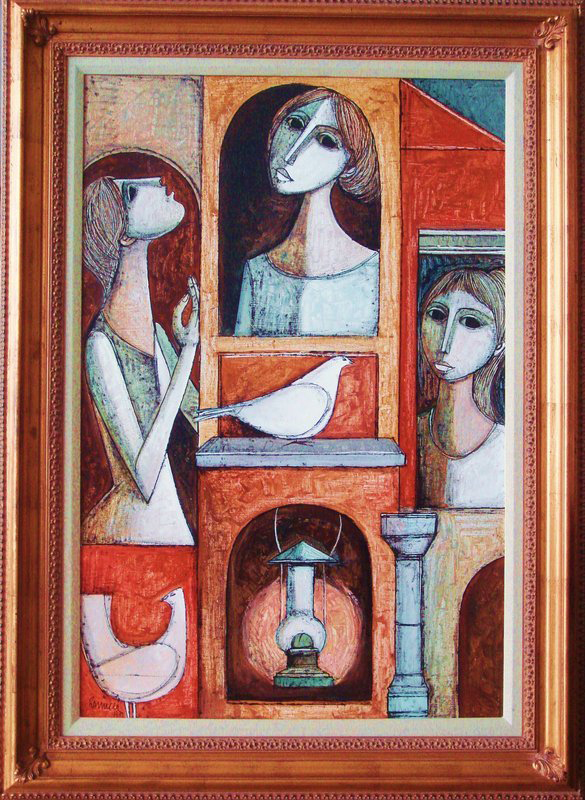 The complementary shapes provide a harmony throughout each painting, giving us a warm sense of the people's lives he depicts. Unlike most visual artists, Ranucci is also a writer and a journalist and has worked extensively in the theater. He has written three books, and has had five books published about his work as a painter. Ranucci is internationally renowned and collected worldwide, and has been commissioned to paint murals, among them, a panel for the International Airport in San Jose, Costa Rica. Today at his advanced age, Ranucci continues his life-long passion for painting.